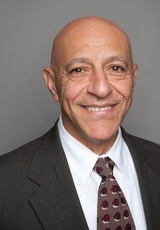 Abe Oshana’s career encompasses wide-ranging and in-depth experience in the design and construction administration of HVAC Systems, central utility plants, building automation systems, plumbing systems and fire protection. He provides skilled project management and commissioning services along with innovative and exacting systems design and assessment. He specializes in the healthcare sector with hospital complexes and medical office buildings, and also has extensive experience with data centers and laboratory facilities. Mr. Oshana’s ability to prioritize programmatic wants and needs brings significant value to a project in terms of managing initial cost and optimizing life-cycle operations expenses. His focus on project delivery, environmental mechanical systems, energy saving modifications, facilities infrastructure design, central utility plants, construction administration and operational issues adds value to both the process and to the building as a final product.